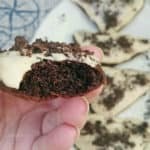 Oreo Cake Triangles (Sandwich Maker) are moist, soft cake triangles with a silky, smooth topping, made quickly in your sandwich maker ! I was looking for something quick to make for dessert the other night, when this one pin kept coming back to me as I was scrolling up and down my Pinterest board. But, it was a recipe for donuts … I did not have time for Donuts and then remembered my Sandwich Maker ! 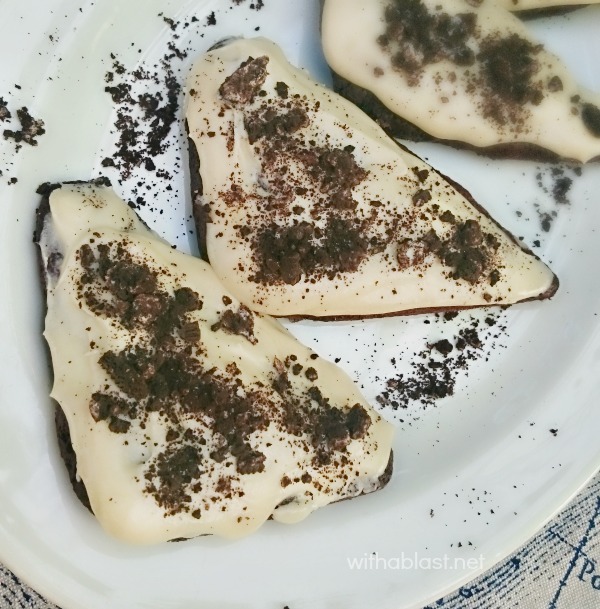 And here we are – Oreo Cake Triangles made quickly in the Sandwich Maker. If you have been following this blog for a while, you might remember my Featherlight Vanilla Cake which were made in the Sandwich Maker. Anyhow, I completely forgot about the machine as the kids just about never use it anymore, but my brain was in overload, thinking up a way to make these Oreo Donuts. For some reason, I do not have a proper Donut pan yet, and I take pride in trying out all pots, pans, machines, gadgets etc as soon as I see them – a Donut pan IS now on my list ! Just before the Sandwich Maker entered my (very busy!) mind, I thought of using my mini Donut Maker … but again, it would have taken all night. Then, out of the blue I remembered the Sandwich Maker. Do you ever “bake” cake or other sweet treats in your Sandwich Maker ? 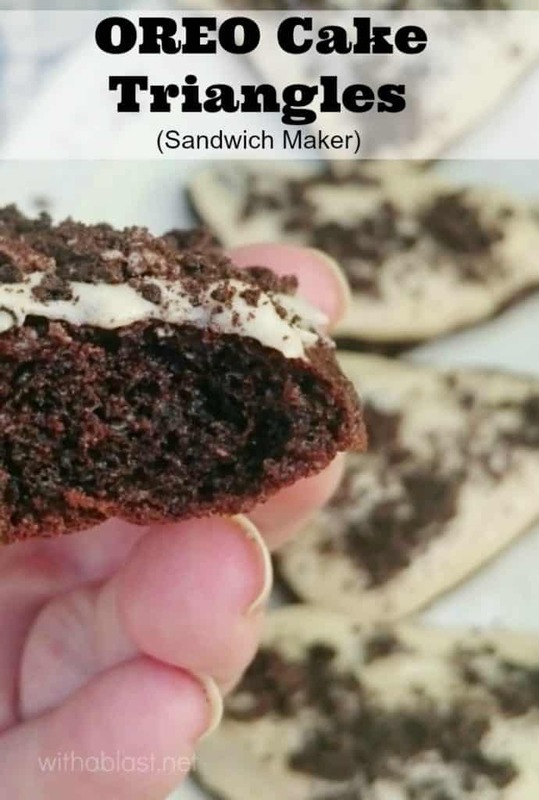 If not, I highly recommend it … I mean, really, it takes the same time to cook the Oreo Cake Triangles as when you would have sandwiches in the machine, which is something like 5 minutes. The Cake is moist and soft as it should be and no one would even know the Triangles were cooked in a Sandwich Maker and not baked. Although I think the shape might give it away! I think that I just fell in love with my sandwich maker! Thanks for this great idea! Absolute genius! I've never heard of doing this before – so clever! This is such a great idea!! I would have never thought to use a sandwich maker for this! What a fun idea, Linda! I had a sandwich maker once, but never really used it – I wish I would have thought to make something like this! Oh these look wonderful Linda! How very creative! I wouldn't have thought about this! Looks delicious!